APRIL 30TH at 11:59PM MST. BUY $100 and use promo code "GOAT419" for great SAVING! Offer excludes: Shipping & Handling, Wholesale, Bargain Barn and Bundles. Sorry, no rain checks. Limited stock on some cuts. Offer cannot be combined with any other offer codes or sales, except for selected shipping deals. Our website only accepts one promo code per order so in order to use more then one code, you must call us at 888-788-7441, or PUT THE CODE IN THE COMMENT SECTION OF YOUR ORDER. Our sales department is available from 8:00 am to 6:00 pm MST. USE code "GOAT419" for great SAVING! Western Boer Goats are Best! Buy 30 lb worth $300 or more RETAIL ORDERS get 2-day AIR, FROZEN shipping at DOUBLE DISCOUNT PRICES! 25% off our already deeply discounted UPS prices. 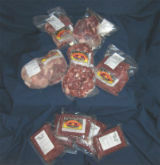 APRIL IS GOAT MEAT MONTH AT ELKUSA.com, 20% OFF all GOAT MEAT ITEMS. SALE ENDS APRIL 30TH at 11:59PM MST. BUY $100 and use code "GOAT419" for great SAVING! Goat LOIN CHOPS (bone-in) (~0.7 to 1.2 lb per pack) AS GOOD AS THE BEST RESTAURANT CHOPS you have ever had! Goat Whole Bone-in Loin Saddle (~3 to 8 lb per pack) Each saddle is composed of both whole loins, the backbone and the inner tenderloin. CAUTION: Shipping less than 10 lbs of frozen meat is difficult and expensive! Whole BONE-IN Goat LEG (~2 to 4 lb each) Makes for a very tasty, large juicy roast! 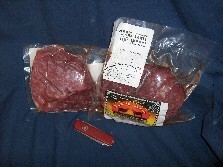 Older Goat PHILLY Steak, boneless thin slices of Goat loin in 1 lb package. SALE! 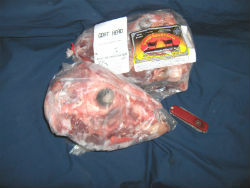 APRIL IS GOAT MEAT MONTH AT ELKUSA.com, 20% OFF all GOAT MEAT ITEMS. SALE ENDSAPRIL 30TH at 11:59PM MST. BUY $100 and use code "GOAT419" for great SAVING! 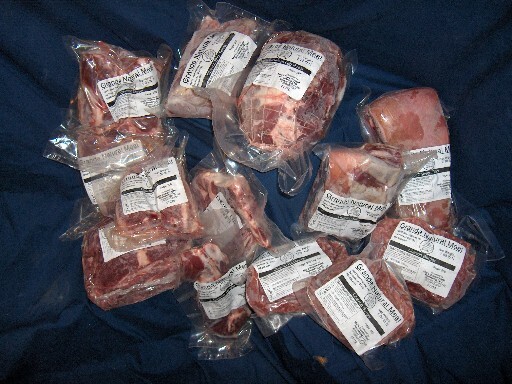 Goat OSSO BUCCO shank (lower leg) Steaks (bone-in, 1.5 to 2 lb package) Can be used like bone-in Stew Meat or for special treats! 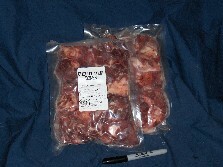 Goat TAIL (bone-in, 0.5 to 1 lb/ package) with meat. 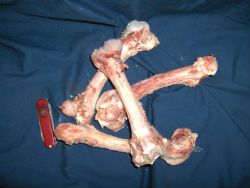 Goat Shank (lower leg) (bone-in, 0.3 to 0.7 lb/ package) with meat. Goat MEAT SAMPLER - 13 lbs. of Delicious Young Boer Goat Meat, consists of approximately 2 lb bone-in Loin Chops or whole loin, 3 lb whole rear leg roast, 3 lb. stew meat and 5 lbs ground goat meat. We will substitute dollar for dollar other cuts on OUT OF STOCK items Due to shortages, we will need to make substitutions of various items. ~30 lbs. ~60 lbs. ~90 lbs. OUT OF STOCK each order is for ONE WHOLE GOAT of the chosen weight. 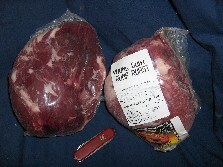 One Half (1/2) Weanling (<6 month) Boer Goat BUNDLE (Cabrito), (skinned & bone-in) average total weight ~8 to 20 lbs. Vacuum sealed in see-thru plastic package and flash frozen. Just defrost and its Ready to Roast. (1/2 kid will be invoiced at actual weight times the per lb price) WHOLE HALVES, NOT cut up (If you need more than one half Goat, then make multiple orders or give us a call 888-788-7441) Two halves left. Discounted $2.00/ lb. as loose restaurant pack in unsealed plastic bag with some frost. ~36 lbs cut up goat ~72 lbs cut up goat ~108 lbs cut up goat each order = one whole cutup carcass of approximately 33 lbs. No Picture Available ♦ Original Recipe GOAT Steak Strips Jerky .. Our best selling jerky flavor ggggreat! 2 oz. No Picture Available ♦ Original Recipe GOAT Steak Strips Jerky .. Our best selling jerky flavor ggggreat! 4 oz. 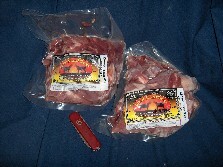 No Picture Available ♦♦ PEPPER Recipe GOAT Steak Strips Jerky .. Our peppery best jerky flavor. 2 oz. 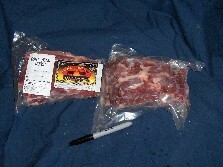 No Picture Available ♦♦ PEPPER Recipe GOAT Steak Strips Jerky .. Our peppery best jerky flavor. 4 oz. 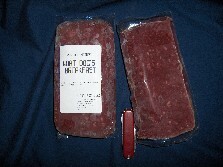 FROZEN Goat meat DOG'S Lunch(TM) , a low-fat dog food product made from Goat burger, liver, hearts, kidneys and tongues. Good STUFF! click here! or order here. Limited Quantities PAPER WRAPPED with a loose texture good fro older dogs.IN STOCK but almost out. Welcome to Grande Natural Meats all-natural Goat Meat page. Goat Meat, also known as Chevon, Cabrito or Capretto is the very tender meat of young kid goats. 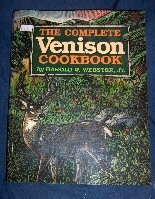 The terms Chevon, Cabrito, Capretto and Goat Meat are names that can be used interchangeably, however, some cultures define cabrito is weaned or suckling goat, while Chevon or Capretto is the meat of an older yearling, weaned meat goat. Our goat meat is from 7 to 12-month old, +/- 90 pound weanling Boer goats, the best goat meat producing animals of the species. Young goat meat is prized for its lean, but tender and flavorful characteristics. While more mild in flavor than lamb, goat is not as rich nor as greasy as lamb, yet still very juicy. Goat is especially rich in protein and iron, but contains only a modest fat and cholesterol content making this meat a logical choice for a high protein low fat diet. While a very common red meat product overseas, here in America, Goat Meat is one of those special delicacies that was only reserved for holiday occasions, particularly for those of African, Hispanic or Muslim cultures. Grande Natural goat meat is now being offered at all year long. Our home range in the high alpine climate (+7500 foot elevation) of the Colorado San Luis Valley, and is ideal for goat production with its lush spring and summer grasses and high-protein alfalfa hay for Winter feeding. All meat goats are raised under all-natural conditions with never a hint of hormones or antibiotics to stimulate growth. We are America's value leader for producing high quality, reasonably-priced young goat meat at prices that almost all can find affordable. So whether you buy goat meat online or right from our retail ranch store, you know you will get a quality goat meat product at a fair price. As you shop the Net, you will find that our goat prices are better than most, or very competitive with all of our competition. We process raised animals through specially contracted USDA goat meat facilities, processors who are familiar with the unusual characteristics of young goat meat. USDA supervised goat meat processing means a safe and healthful goat product done under humane conditions. So go to the source, a supplier who actually processes their own products right from the pastured animals in one of the best meat goat producing regions of the country. You can trust that Grande Natural Meats has superior products at always affordable prices, sold by the pound for your ease of calculation. Try our goat meat for a real taste treat! Lastly don't forget about your pet. 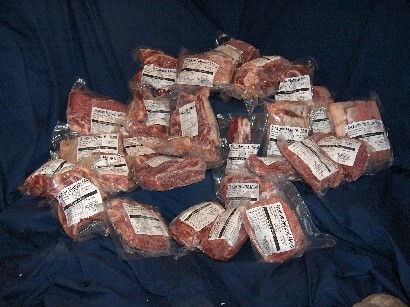 We have goat meat products just great for your pet. 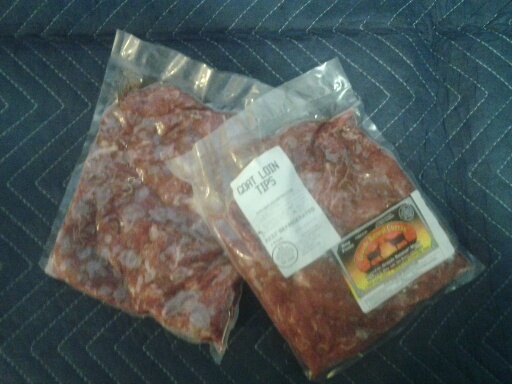 No worries about allergies to beef or hormones, this is all-natural goat meat trim mixed with goat organs to make a real taste treat. GOAT DOGS LUNCH(TM)is a safe and great product for your pet. So, if you are looking for goat meat, or just some goat meat information, then ElkUSA is your best bet for quality USDA goat meat products. We have NO "free shipping" markups at Grande Meats. As some companies offer, IS "FREE SHIPPING" REALLY FREE? We will add from $15.00 to $22.00 for handling, the appropriately-sized cardboard & foam box and 3lb. dry ice per box. The largest box can handle up to about 62 lbs of meat. Remainder of nation via 3 day ground rates if package weigh exceeds 30 lbs.